You can earn 240 yards with this purchase! 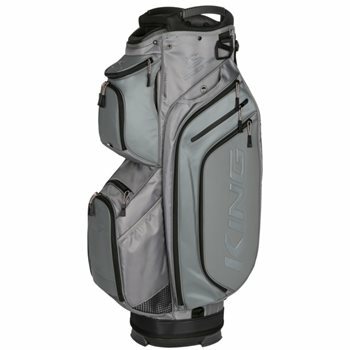 The Cobra King cart bag features a 15-way top with designated full length club dividers and external putter port as well as a single shoulder strap with COOLFLOW foam. It has a cart strap pass through to keep the bag secure while allowing pocket access. The multiple pockets include dual oversized apparel pockets with key clip, a fleece lined valuables pocket, fleece lined range finder pocket, and insulated zippered cooler pocket.